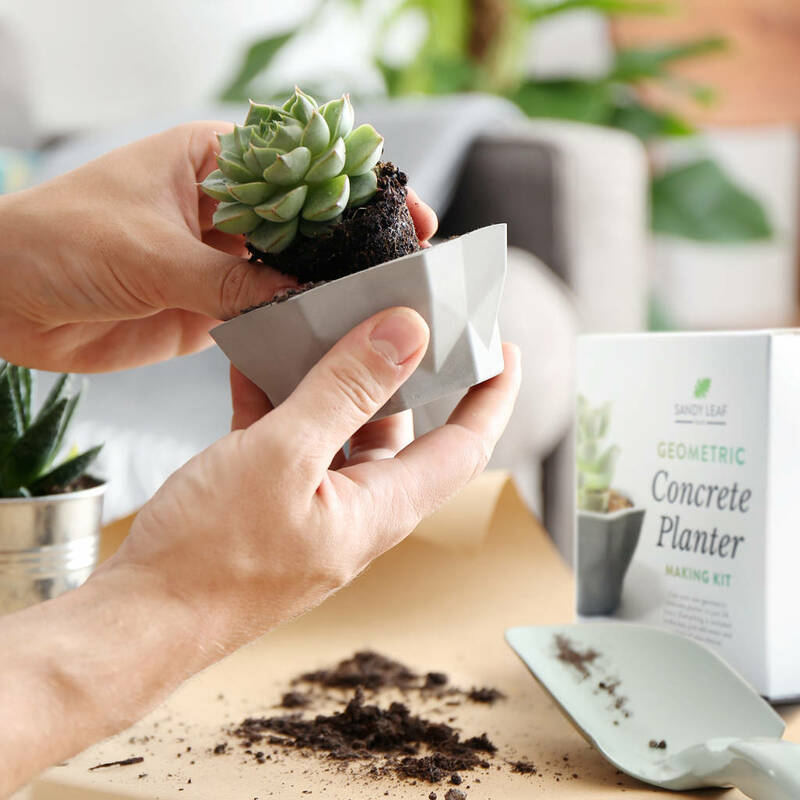 New for 2018 - Brand new Geometric pot with improved moulds and packaging. Who said crafting concrete was just for builders? 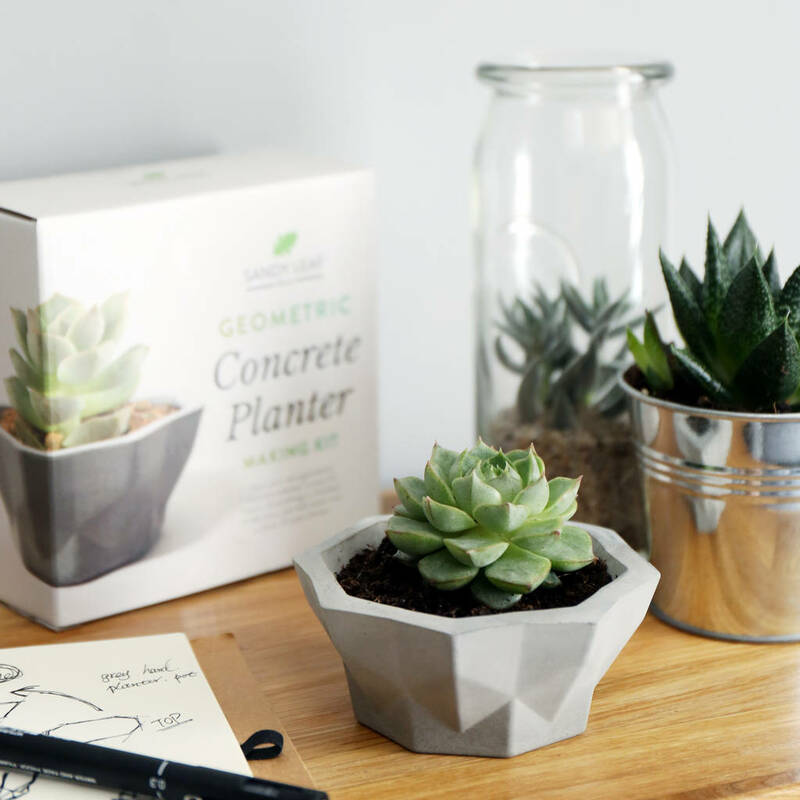 With our kit you can cast your own personalised concrete planter, with a sophisticated geometric shape. 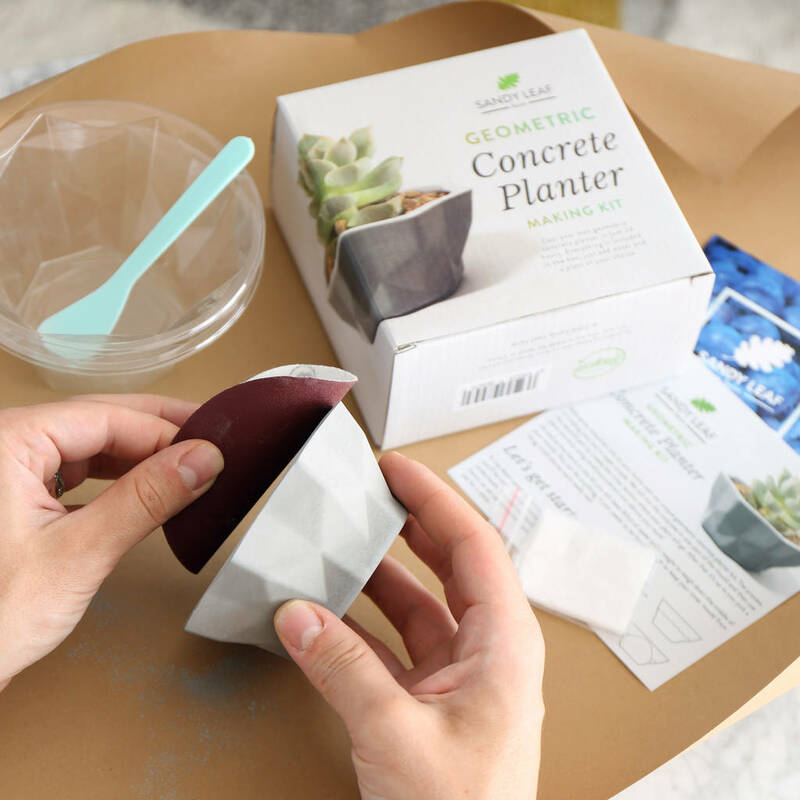 The kit includes everything you need to make your own concrete planter - two pot moulds, our custom blend of quick setting concrete, stirring stick, disposable gloves, sandpaper, full instructions. 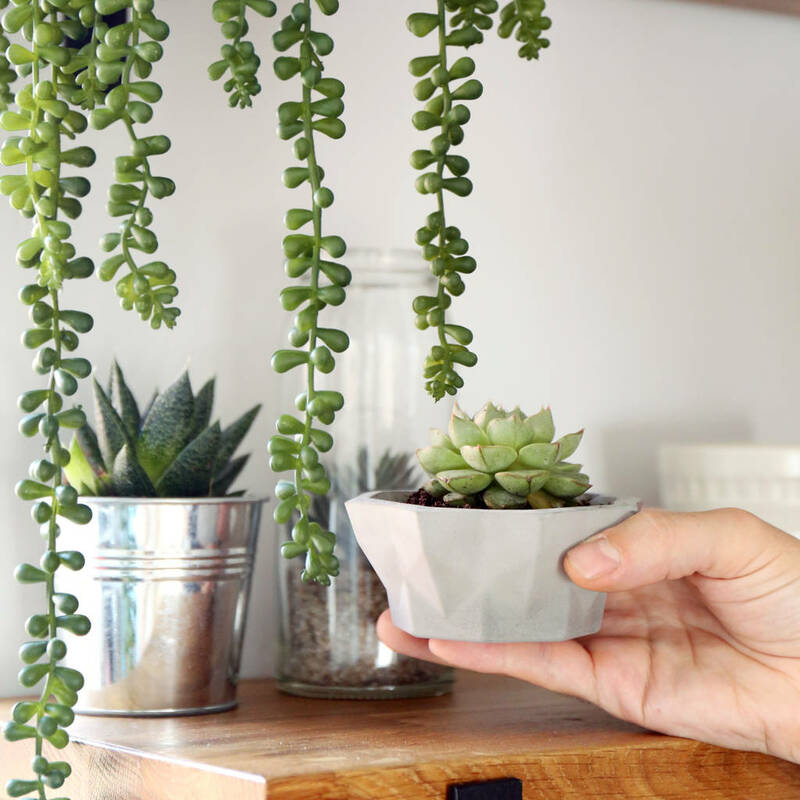 Everything is packaged in a cute gift box and would make an amazing birthday or Christmas gift. 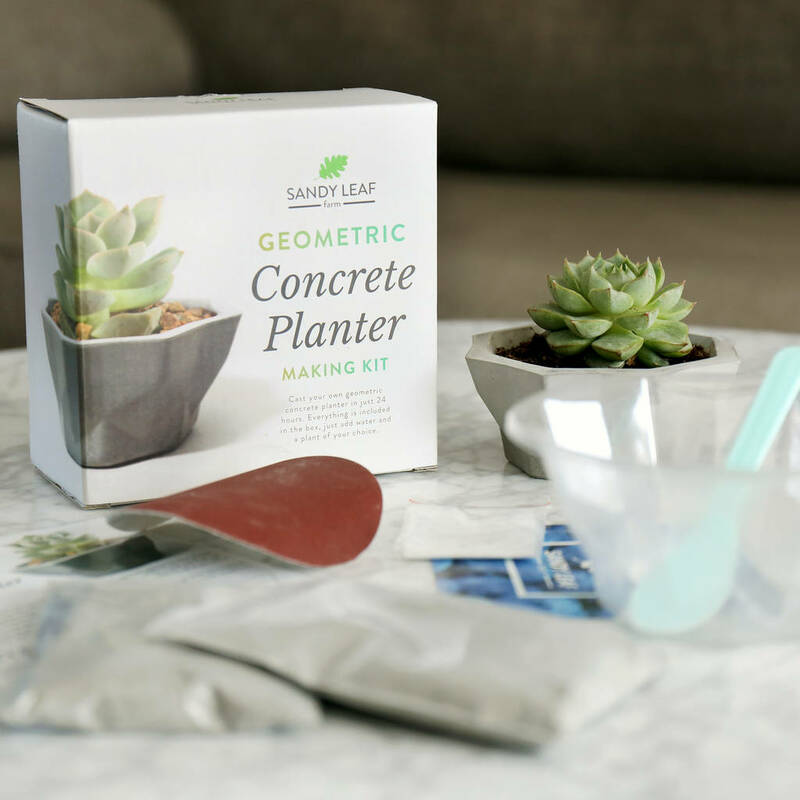 This product is dispatched to you by Sandy Leaf Farm.